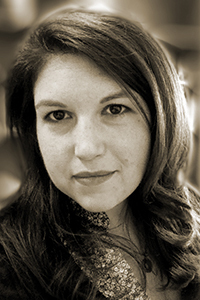 Katie Cortese’s work has appeared in Carve, Gulf Coast, Third Coast, Crab Orchard Review, Willow Springs, and Sport Literate, among others. She earned an MFA from Arizona State University and a PhD from Florida State University. She teaches in the creative writing program at Texas Tech University, where she serves as the fiction editor for Iron Horse Literary Review. She has received a Tennessee Williams Scholarship from the Sewanee Writers’ Conference.